The basic plot from Amazon: What if the bomb had actually been dropped? 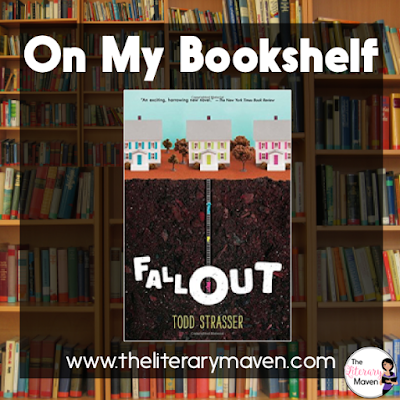 In the summer of 1962, the possibility of nuclear war is all anyone talks about, so Scott's dad builds a bomb shelter to hold his family and stocks it with just enough supplies to keep the four of them alive for two critical weeks. In the middle of the night in late October, when the unthinkable happens, the same neighbors who scoffed at building a shelter themselves force their way into the shelter before Scott's dad can shut the door. 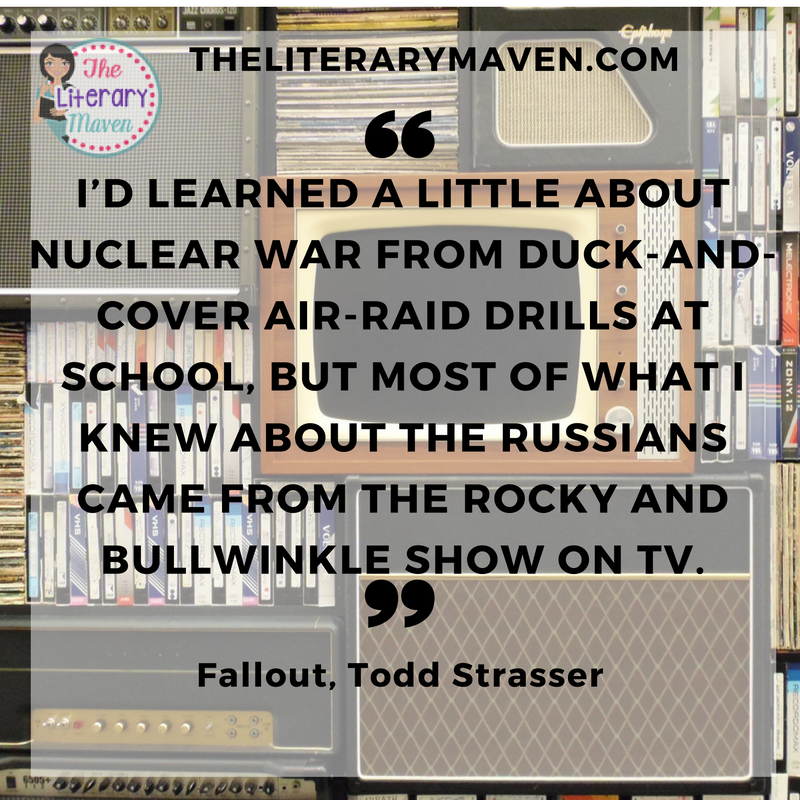 Internationally best-selling author Todd Strasser has written his most impressive and personal novel to date, exploring the terrifying what-ifs of one of the most explosive moments in human history. 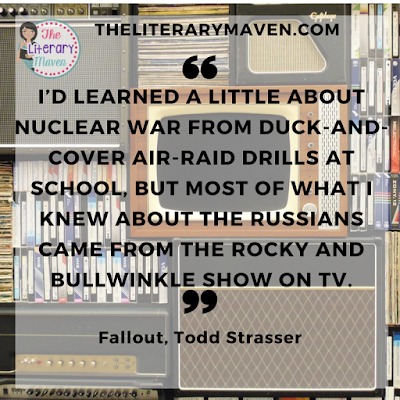 Why I liked it: Fallout is a historical fiction novel, set during the Cuban Missile Crisis, in which author rewrites history. I can't think of another historical fiction piece that takes this approach, but it was interesting to think about how things might have turned out differently. The topic of the novel was a very personal one to the author. His family also built a shelter during the Cold War, though they never had to use it. The chapters, which alternate between past and present, are narrated by Scott, a sixth grader. As a teacher, I was pleased to see Scott's teacher, Mr. Klasman play an important role in the novel; he challenges the students with questions rather than telling them what to think. Classroom application: Discussion questions are included with the novel which would be perfect for use in a classroom discussion. I think particularly rich discussions would come from comparing the parenting styles of narrator's family to his friend Ronnie's family. Besides the obvious connection to the Cold War and the Cuban Missile Crisis, segregation and racism are also topics addressed in the book. 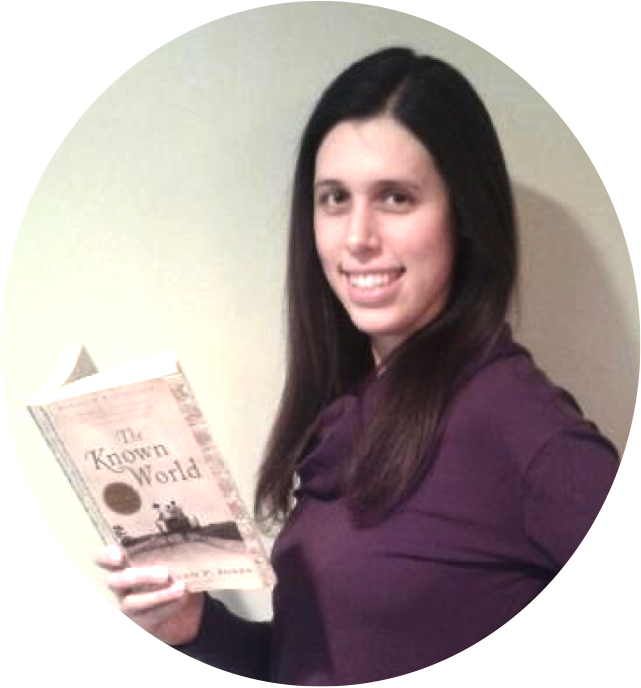 Students could research any of these topics and evaluate the novel's historical accuracy. The novel could also be used a mentor text, with students selecting their own historical event to rewrite. If you are interested in purchasing a copy of Fallout for yourself, you can find it on Amazon here.